Excellent sound, comfort, and top-of-the-line noise cancellation are all afforded by the Sony WH-1000XM3. If you want a pair of comfortable on-ear headphones that also include noise cancelling, these will outperform the Beats Solo3 Wireless cans. This is an excellent alternative for listeners who need something that's durable but doesn't sacrifice audio quality. If you like the BeatsX but want something that works effectively on Android devices, too, these AAC- and aptX-supported 'buds should do the trick. If you’re someone who uses earbuds primarily for exercise and don’t mind investing in something nice, these are a great pick. They provide an excellent fit with easy-to-operate touch controls and a durable, IP55 build. So you don’t want Beats to pump out your beats, while you may be concerned about what the competition has to offer, there are plenty of trendy, bass-heavy headphones that aren’t Beats. Who knows, you may end up preferring them over the Dr.’s auditory prescription. Editor’s note: this list was updated on April 9, 2019, to the JLab Epic Air Elite and include new notable mentions. The Sony WH-1000XM3 caters to commuters and all-purpose users alike; while it lacks the “Studio” moniker that the Beats competitor has, it boasts many of the same features and outperforms the Studio 3 Wireless handily as it applies to noise cancelling capabilities (and equalizing your music). Both models are over-ear headphones that retail for $349, but Sony’s WH-1000XM3 is the far better buy. It supports an array of Bluetooth codecs including LDAC, which provides the best streaming quality at 990kbps. What’s more, its sound boosts bass more than the previous iteration, aligning it with the bass-heavy Beats signature by default. By providing effective noise cancelling, your music will sound better and you'll likely avoid hearing damage. 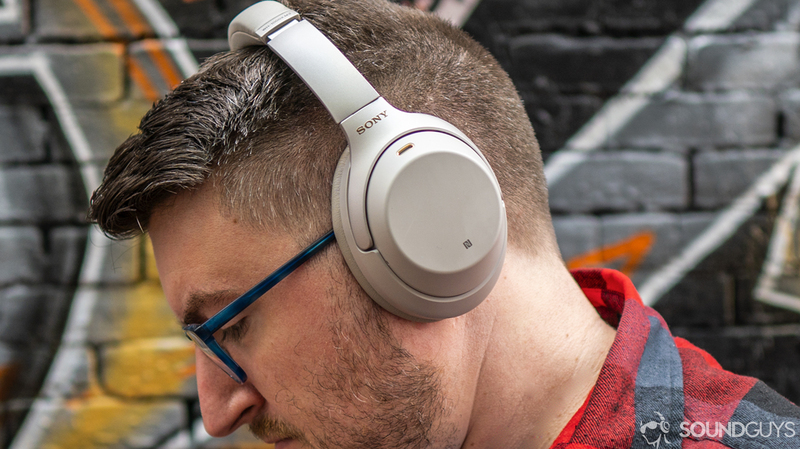 If the main feature drawing you to the Beats Studio3 Wireless is noise cancellation performance, then the Sony cans should be your pick. Deciding what’s physically comfortable is more subjective, but we’re confident you’ll be happier with the Sony WH-1000XM3 than with the Beats headphones. If you’re interested in Beats because they offer AAC support and you use an iPhone, you should stick with options that provide AAC support for improved streaming quality. iPhone users should pay close attention to Bluetooth codec support. Since Beats by Dre is now part of the Apple conglomerate—and has been since 2014—the company’s wireless headphones and earbuds integrate the W1 chip and AAC Bluetooth codec. iPhone users will want something that supports AAC, and Android users should look out for aptX or aptX HD support. Beats headphones are loathed and loved for their bass-heavy frequency responses, but the company doesn’t have a patent on low-end exaggeration, so finding a product that emulates that sought-after sound isn’t an arduous journey; that said, you may be sacrificing style for a particular sound. More often than not, a direct competitor to a Beats model will be cheaper than the household name. The price disparity isn’t indicative of a lack of quality, rather it likely just reflects a smaller profit margin for the company, which means more money for you to put toward MP3s. You may like: W1 Chip: What is it and why don’t Android users get a bite? While the Beats Solo3 is one of the companies most accessible products, it lacks one major feature touted by the AKG N60NC: active noise cancelling. While the noise cancellation found on the AKG cans isn’t going to beat the Sony WH-1000XM3 abilities, it’s better than not having the feature altogether. But it’s not just about having a feature to say that the feature is there; no, the AKG N60NC attenuation is effective enough to prevent you from maxing out the volume. Not only does the lessening of outside noise improve audio quality, but it also steers you away from damaging your hearing. Of course, the other main benefit to going the AKG route is the price. These headphones run less than $175, nearly half the price of getting the Beats Solo3 Wireless brand new. Plus, you’re still getting both AAC and aptX support; compared to the Solo3 Wireless, these are a real bargain. One glance at the Beats Pro and it’s apparent that it’s the most durable pair of Beats headphones, but the V-Moda Crossfade Wireless Codex is MIL-STD 810G certified, meaning it’s officially tough as nails. The V-Moda Crossfade 2 Wireless Codex isn’t just tough, though; it sounds good too. If you opt to listen sans wires (or maybe your phone manufacturer left you without a choice) then you still benefit from AAC and aptX codec support. Things sound especially good if you plug in, though, seeing as these headphones are Hi-Res certified and allow for zero-latency which is great for gaming. Additionally, when you buy a pair of V-Moda headphones, you’re not just buying a single one-and-done product. No, the company stands behind its albeit pricey lineup with its Immortal Life Program. These earbuds support both aptX and AAC, so regardless of what system you’re using, watching videos and making remote commands is a lag-free process. What’s more, unlike the BeatsX, the ATH-CK55BT use an integrated amplifier while keeping the price below $100. Admittedly, battery life isn’t anything stellar with these earbuds and is rated at seven hours, but the standalone battery life clocks in at 200 hours to compensate. By including aptX and AAC support, you're not limited to choosing between an iOS or Android device during listening sessions. As far as sound quality is concerned, Audio-Technica uses brass to mitigate unwanted harmonic distortion; this results in improved clarity, particularly in the mids and highs. What’s more, the earbuds house large 10.7mm dynamic drivers—well, large for in-ears that is. Although you’re not getting the same style of neckband earbuds as you would with the BeatsX, you’re benefiting from aptX and AAC compatibility, which provides notably better sound quality for Android phones, as AAC is really only acceptable on iPhones. Beats’ debut true wireless earbuds are making a splash in the world of consumer audio, but if you aren’t interested in the Powerbeats Pro, then the JLab Epic Air Elite is a great option. These feature the same earhook design with angled nozzles for an ergonomic fit. What’s more, JLab understands that a proper fit profoundly impacts audio quality and has provided a plethora of additional ear tips to account for nearly any ear canal. The IP55 dust- and water-resistance makes this a resilient pair of earbuds that can withstand beach and gym workouts alike. What’s more, the charging case is brilliantly designed to house the microUSB cable, so you never have to worry about misplacing it again. It can also charge your other mobile devices as it’s outfitted with a 2,600mAH battery. While we’ve yet to get our hands on the Beats Powerbeats Pro to test its battery life, we know that the Epic Air Elite boasts some of the best standalone battery life in the market, reaching 5.16 hours of playback before requiring a recharge. OnePlus Bullets Wireless: These earbuds are a BeatsX doppelganger and support aptX. Unfortunately, they’re rarely in stock, demoting them to a notable mention. Sennheiser HD1 In-Ear Wireless: This neckband earbud provides aptX and AAC support and is made out of more premium materials than those found on any Beats product, but they’re expensive compared to the BeatsX or PowerBeats3. Anker Soundcore Vortex: This pair of headphones costs just a smidge more than $50 but fits comfortably and supports aptX and AAC. It’s a real steal when compared to either the Solo3 or Studio3 Wireless models. Bose QuietComfort 35 II: If you like the idea of Sony headphones but think they may not be the most comfortable for you, then the Bose QuietComfort 35 II may be what your ears need. Focal Listen Wireless: These headphones mimic the bulky design that Beats headphones are recognized for and perform exceptionally well when it comes to passive isolation. They’re also comfortable to wear with or without glasses. Audio Technica ATHM50X BT: Audio-Technica transformed its ever-popular ATH-M50X to a wireless headset that listeners can take on the go. It operates via Bluetooth 5.0 and supports aptX and AAC codecs. 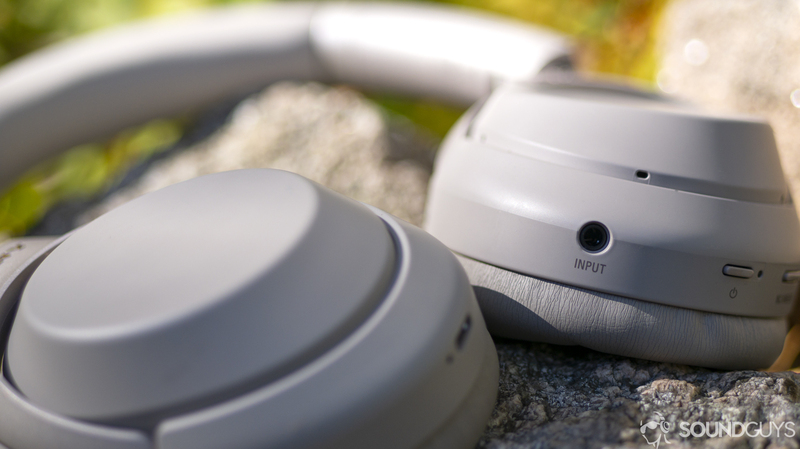 SoundPeats Engine: If you like BeatsX neckband design and want something much more affordable without compromising features, these neckband earbuds are an excellent buy. JBL Live 650BTNC: As far as sub-$200 noise cancelling headphones go, these are some of the best. They effectively attenuate external noise and are comfortable to wear for long periods of time due to the deep, plus ear cushions. Plus, with full Google Assistant and Amazon Alexa integration, little tasks like replying to incoming texts are made easy. House of Marley Exodus: Listeners who value style and durability should look into these. 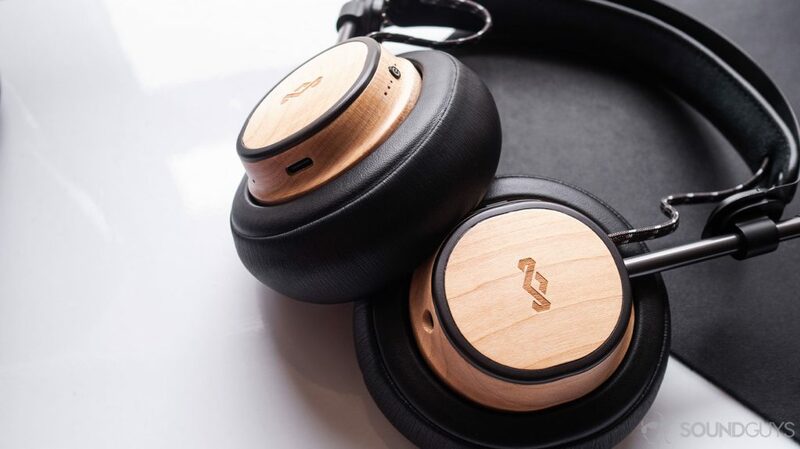 While they didn’t receive the same MIL-STD 810G rating as the V-Moda cans, the aluminum components paired with FSC certified wood make these feel premium and resilient. We have our own internal testing methodology, but the long and the short of it is that we run three basic tests: battery life, frequency response, and isolation to get a broad-strokes, objective understanding of how each pair of headphones or earbuds operates. From there, we use the headphones in our daily routine, taking note of a product’s follies and triumphs. For most music, the WH-1000X M3 will be very bass-heavy unless you tune it down in the app. They may not seal all that well, but for on-ears the AKG N60 NC have a close note emphasis to the ISO226:2003 standard. V-Moda is known for booming bass, but this time everything’s a little more tastefully restrained. Although the bass response is extremely emphasized it’s preferred by many athletes. The Sony WH-1000XM3 make the world melt away around you. The AKG N60 NC’s ANC performance is stellar. You’ll notice great isolation from mids and highs, but low notes will still overpower your music in noisy areas. The earbuds isolate well so long as you use the proper ear tip. Ultimately, we respect that audio is subjective to a point—and believe it helps us, and you the reader, to know a product’s objective performance as well. We’re dedicated to this site as our full-time jobs and individually have accrued multiples years of experience when it comes to keeping track of the evolving audio industry. In being so involved, we’re able to quickly pick out the good from the to-be-improved products. We test as many audio products as possible so you don’t have to. Our main goal is to ensure that you enjoy your purchase, whether you’re looking for workout earbuds, soundbars, or noise cancelling headphones. We just want you to be happy, and none of our writers may benefit from lauding one product over another. If you so choose, we recommend that you read our full ethics policy. Still looking for the Beats alternatives? Look at these best lists.